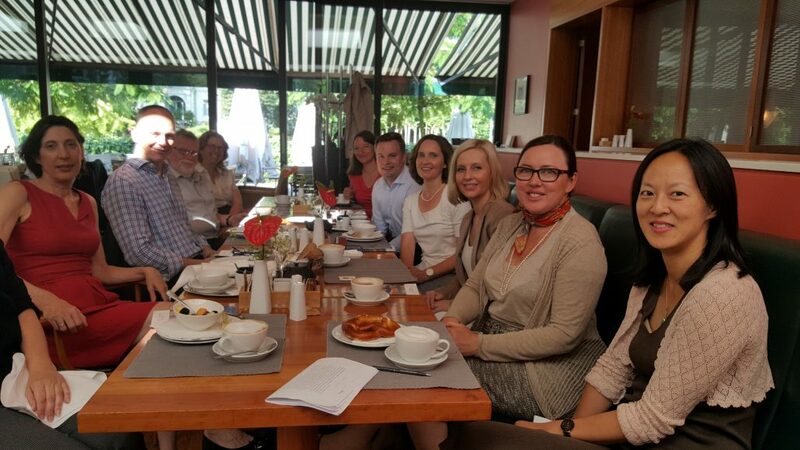 Members and friends of the German Australian Business Council gathered in Frankfurt on 7 July 2017 for a breakfast briefing with German Honorary Consul Prof. Michael Rosemann. Prof. Rosemann shared with attendees the various German initiatives that take place in Brisbane such as German week and David meets Goliath. He also captivated his audience with fascinating stories about how the universities help businesses transition to a digitalized world and adapting to a different mindset by thinking in a “bigger box”. It was a great event to start the work day with attendees taking away a lot of food for thought.